TAKE YOUR DIGITAL CAREER TO THE NEXT LEVEL! We love Mondays! How many employees can honestly (hand on heart) say that? Here at Bigfoot Digital, we look forward to coming into work. The reason being that we work in one of the most interesting, creative and genuinely exciting industries out there. We are forever searching for new talent, come and join us and never dread the working week again. There’s huge scope for you to learn and develop your skills here at Bigfoot Digital. We encourage you to work in the areas of marketing you are most passionate about – PR, Web Development, Content Marketing, Video Production, Social Media Management, etc. We have dedicated training sessions for all staff and invest time into your future with us; after all, we want you to be the best you can possibly be! 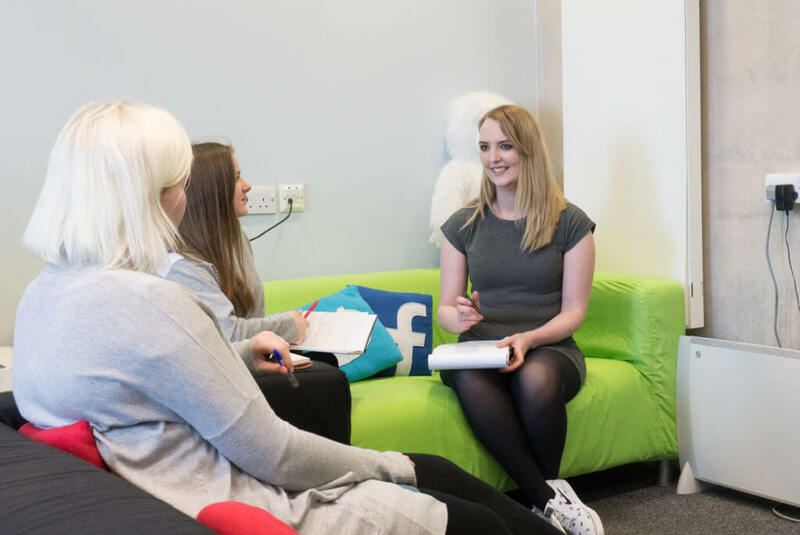 You will join a close-knit team of digital specialists pulling together to generate the best results for some of the UK’s most exciting brands. We have a growing client base across the country with Manchester, Leeds, Nottingham and London SEO Services among others. Your work-life balance is incredibly important to us, and so we offer flexible working hours in our Barnsley and London-based offices, and experienced Account Managers are on board to ensure your workload is reasonable and you are enjoying what you do. Growing opportunities for London SEO specialists! You will join Bigfoot Digital at an exciting time for us as we’ve recently opened a second office in London. This expansion comes at a period of growth for Bigfoot Digital as we take on more and more London-based clients. You will join the shiny new London office or the established Barnsley one depending on your location and personal preference. Interested? Where to go from here…? You’ve found this page – so that’s a good start. The kind of individual we are looking to join our growing team at Bigfoot will be committed and passionate about the evolving online marketplace – someone who can make a good cuppa! All jokes aside, if you are then we want to hear from you. Just visit our Careers Page and submit the most recent copy of your CV and tell us why you want to work at Bigfoot Digital.